After several years of traveling (and even more years addicted to gadgets) I’ve found that there are certain things that I just can’t travel without. These are things that make travel easier and reduce a lot of the common little problems that get in a way. They aren’t going to make or break your trip, but they may make it just a little bit easier. Most people travel with an all-in-one travel adapter like this. I used one for awhile and while it is nice to only have one adapter to keep track of, it’s big and bulky and can often be cumbersome. So a few years ago I switched to these and have never looked back. 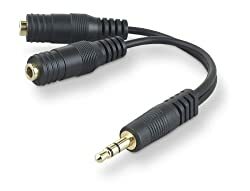 They’re about the same price (or sometimes lower) but because the adapters are separate you only have to worry about the adapter for the area you are in. This makes the adapter smaller and less cumbersome. It really does make a huge difference and you won’t notice until you’re forced to use an all-in-one again. This is probably the best gadget I’ve ever taken on a trip with me. Seriously. Think of every time you’ve needed to charge something at an airport or hotel but all the outlets were taken (usually by somebody using all 4 outlets at once). With this there’s power for everybody. I really can’t tell you how many times this has saved me because nothing is worse than a 14 hour flight with no entertainment. The Belkin model has a surge protector which is nice but means it will only work at 110 volt systems and won’t work in Europe. For that, I carry this other power strip. When in Europe, I plug in my adapter and then plug the strip into that, which also saves two adapters. These twist ties are another thing that seem silly at first but make a world of difference once you start using them. Some people like using velcro but I find these much easier to use. I use mine to wrap up cords and keep things neat but once you have them you start finding lots of other uses for them. They come in a variety of colors and lengths up to 18″. 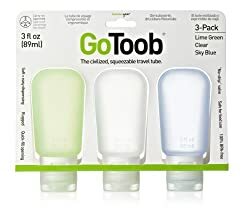 Travel bottles are a mainstay of travel accessories and can be found for less than a dollar and many stores. But you get what you pay for and if I had a dollar for every time one of those cheap bottles broke on me during a trip, I’d have enough to buy these bottles and that never happen again. They’re silicon so you can squeeze out ever last drop without destroying the bottle and the secure tops come off to make it easier to wash and refill. Comes in a variety of sizes; I use the big ones for soap and the smaller ones for face lotion. The eyemask is another mainstay of travel buy here is one place where quality matters a lot. You can settle for the cheap ones the airline gives you or you can spend a few more dollars and make your life so much easier. This is my favorite because the fabric bulges over the eyes instead of touching them. This also means you can blink without problems which I love. 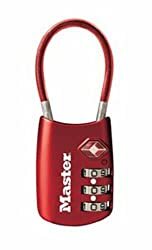 A luggage lock is another thing that you don’t miss until you really need it, and then you really wish you had it. 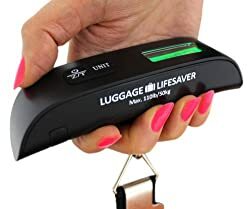 Make sure to get one that is TSA friendly so they don’t have to cut it off to open your bag (they have a special key). And don’t expect this to make your bag impregnable. Somebody can still get in it, this just makes it harder and take longer, which hopefully makes you less of a target. I prefer the ones with flexible rather than rigid shackle but that’s just my opinion. An external battery to charge my phone/tablet has been a lifesaver so many times on my trips. You basically charge this from a computer or a wall plug then leave it in your bag and use it to charge your phone when you need some extra power. There are two real types here. 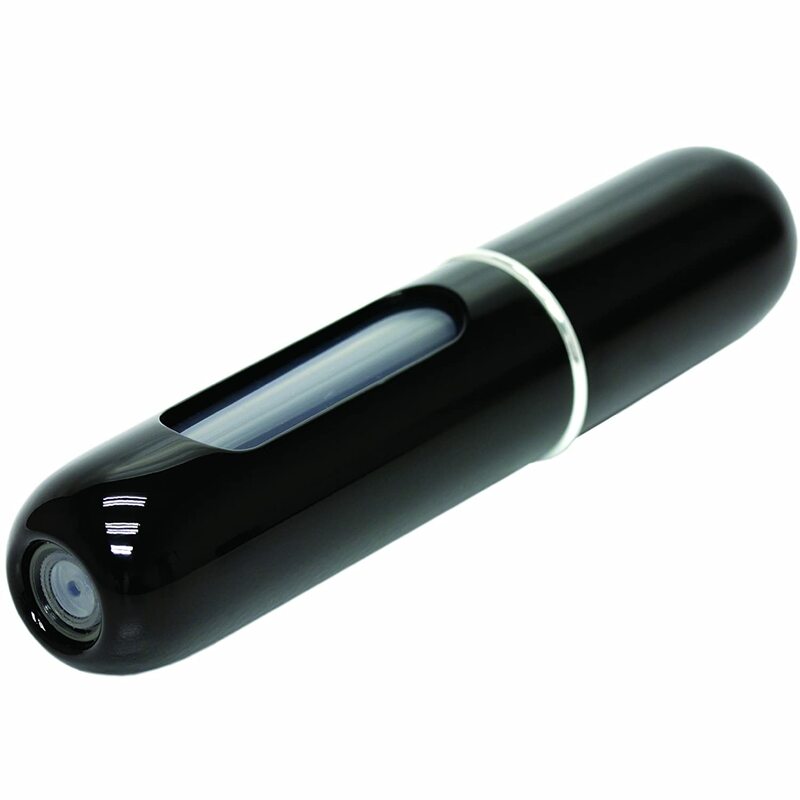 One is larger and more expensive and will recharge your phone multiple times. The other is smaller and can recharge your phone about once. I prefer the second since it is smaller/cheaper and I usually just need it for emergencies. I couldn’t find a link to the one I have but the one pictured is the closest I could find. This is another of those things most people forget but I really like traveling with one. It’s great when walking late at night or when you need to get up before dawn and pack but don’t want to wake up everybody else. It can also be good when you can’t sleep and want to read. Makes sure to get a cheap one since this is something I lose more than anything else. 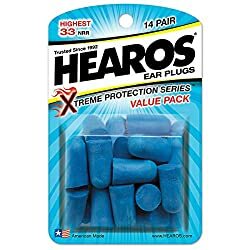 Earplug are another one of those items that sound dumb and useless until you need them. Like when somebody in the 8 bed dorm decides to bring a girl home. Or you find out that cheap hostel you booked is actually next to a train station. Or you’re sitting in front of newborns on a 12 hour flight. The possibilities are endless. And when that happens you’re going to wish you had earplugs. You’ll be willing to pay a small fortune for earplugs at that moment. So make sure that doesn’t happen to you and throw a couple pair in your bag before you leave. This is another of those items that seems silly but is priceless once you have it. I got one for my girlfriend before her first overseas trip and she actively mocked it to my face. Until she lost it a few trips later and realized how much she’d come to rely on it. 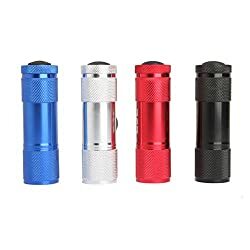 I haven’t used this specific one but the traits you want to look for are compact and with a power switch that won’t accidentally get triggered while in your luggage. This is a godsend when traveling with somebody else and compared to the traditional method where two people each have one earbud, it’s worlds better. One of the best $5 I’ve ever spent. I may not be a great photographer but I really enjoy shooting while traveling. 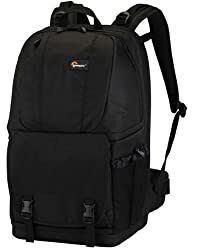 For awhile I used a classic camera back but I hated lugging it around as well as a daypack and didn’t like that it was very obviously a camera bag. So a few years ago I got this from my grandma and I love it. It has space for a computer on the side and then the rest is divided between a general use section on top and the camera compartment on bottom. The best part is that you can swing it off of your arm and get at the camera extremely fast – great for those unexpected shots. Comes in blue, black, and red. 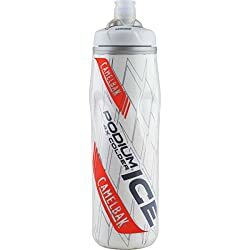 A water bottle isn’t necessarily a revolutionary item to put on a travel list but most people don’t put this bottle on there. Most people carry hard sided bottles but they just aren’t for me. Maybe I’m biased from my cycling days but I like a soft sided bottle and I’m convinced this is the best. The soft sides let you squeeze the water out but the top also twists to lock and prevent any accidents. And this is insulated. In fact the Podium Chill line is four times more insulated than the previous line and trust me, that matters more than you think. Comes in 21 and 24 ounce versions in a variety of colors. Let me just say that I don’t understand how people can travel without Bose noise canceling headphones. I don’t. I got mine as a high school graduation gift and have adored them every since. 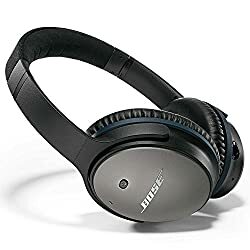 If I’m taking a flight over 6 hours these are a must have for blocking out engine noise and that person behind you that just can’t shut up. They fit really well around even my large ears and are super comfortable. The only knock here is that they can flatten your hair after several hours. Not a concern for me since I care more about rest than my looks but maybe for others. The biggest problem with the Bose headphones is the wire. Airplane seats are not known for being especially roomy and when you add in your magazines and water bottle and phone and… you get the idea. Juggling all these things makes it easy to forget you have headphones on and catch the cord on something. It either knocks over a drink or violently rips the headphones off. These headphones fix that since the only cord is a foot long around the back of your neck. 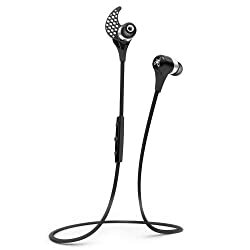 You don’t get the active noise canceling and the sound isn’t as good as Bose/Beats but they fit really well and the sound so much better than past bluetooth headphones – I’d say about as good as your normal above average in ear headphones. This is something I didn’t even consider for many years but then a few things changed my mind. Getting stuck in the rain before an hour long freezing bus ride. Going to a hostel without towels for sale. Not having a towel to go swimming on vacation. Going to a friend’s house and all of his towels were in the wash. So I started bringing my nice fluffy towel from home. It works well and feels great but it takes up a ton of space in my bag, especially if you’re trying to go in a carry-on. This towel is small, light, and should dry quickly: the best of all worlds. I don’t like to carry anything extra just like most people I know. But few things are as bad as getting caught in the rain without an umbrella and it always seems to happen at the most inopportune times. An umbrella can at least make it bearable and this one is small enough to not waste all the space in your bag/purse. I like to wear cologne, especially when going out somewhere nice, but I hate to take the bottle with me on vacation. Not only am I afraid that it will break and leak all over everything but it just takes up space and is heavy. I received one of these a few years ago and liked it enough that I bought one for my girlfriend and then another when I lost my first one. An alternative would be to buy sample size bottles (example) and get to try out a new scent. Full Disclosure: I may receive a very small commission on some of the items listed here. This is used to pay for the cost of the website. 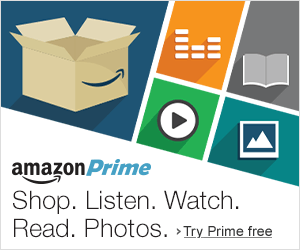 All items recommended are items I use unless otherwise stated and that I would recommend anyway. Affiliate links never alter my opinions/reviews. Posted on February 17, 2015 May 15, 2015 by mwwalkPosted in Review, TravelTagged best travel tools, Travel, travel accessories, travel gadgets, Travel items. i’m not able to’t let you know the very best, it may offend you! I’ve just bookmarked this page, magnificent internet site! Fabulous list!! I will be bookmarking this for the future. Thanks! !